All Zomodo pressed sinks, granite sinks and waste kits sold in Canada are CSA or cUPC approved. All Zomodo sinks are tested and exceed the requirements of CSA standard ASME A112.19.3-2008/CSA B45.4-08 – Stainless steel plumbing fixtures. 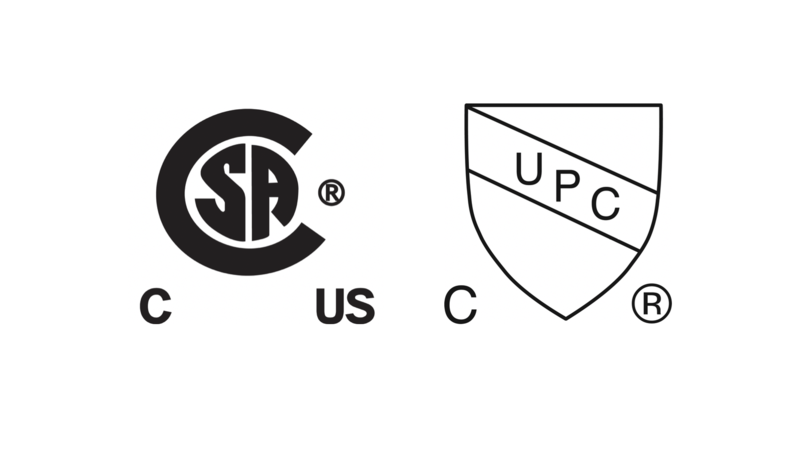 Our faucets are tested and all components are cUPC certified and approved.